Nigel is still missing as of this notice - 1/9/2015. 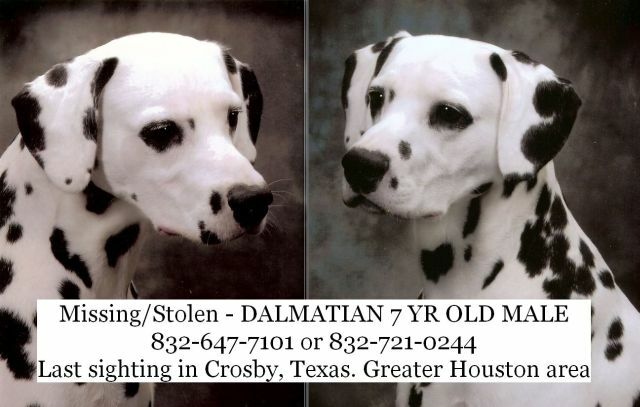 Nigel was removed from his home in Kingwood by persons unknown and sold on Craig's List to a blond girl named Brooke in the Crosby, TX area who claims that the dog was lost or stolen from her. If you know of the whereabouts of this dog, please contact us through the email link on the Home Page.